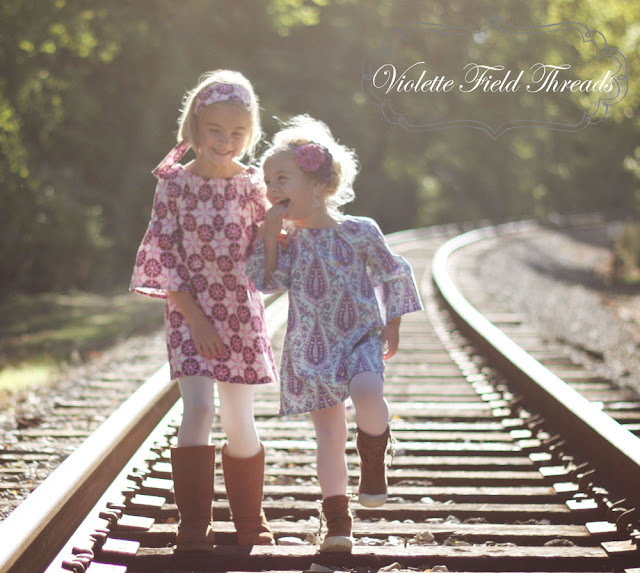 $75 Violette Field Threads pattern giveaway! This giveaway is currently closed. Check back soon for more! So excited to announce another lovely and inspiring sponsor (two talented ladies, in fact! ), Ericka and Jessica of Violette Field Threads. Their shop features all kinds of patterns for girls and women, clothes, accessories, flowers, and beautiful ideas for things to create. Take a look at some of their pattern ideas! Here's a little bit about Ericka and Jessica, owners of Violette Field Threads! We are best friends that have a passion for design and sewing. We both began sewing from an early age. After we each married and had daughters, our sewing interests turned to children's clothing and accessories. We both created our own boutique clothing lines and the demand quickly outgrew what we each could supply on our own. Our real passion is in the design and creative side of our work, so we joined forces and Violette Field Threads PDF Patterns and Tutorials was born. 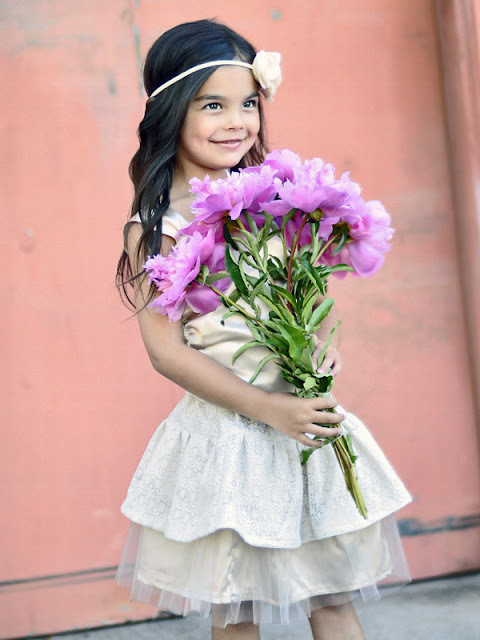 We are inspired by our daughters, vintage fashion, and couture designs. We strive to stay on the cutting edge of fashion and trends. Our patterns are thoughtfully written down to smallest detail. This allows for even beginning sewers to create designer looks. We are happy to allow our customers to sell the products they create from our patterns on a small scale. We enjoy knowing that we are helping other talented people have a successful business, and in turn they are helping us. What a great business model and parternship! I'm happy to host a giveaway on this blog for a $75 gift card to Violette Field Threads for whatever patterns or tutorials you like! Christmas is coming up, you know... I'm sure you'll get lots of gift ideas from perusing their site! 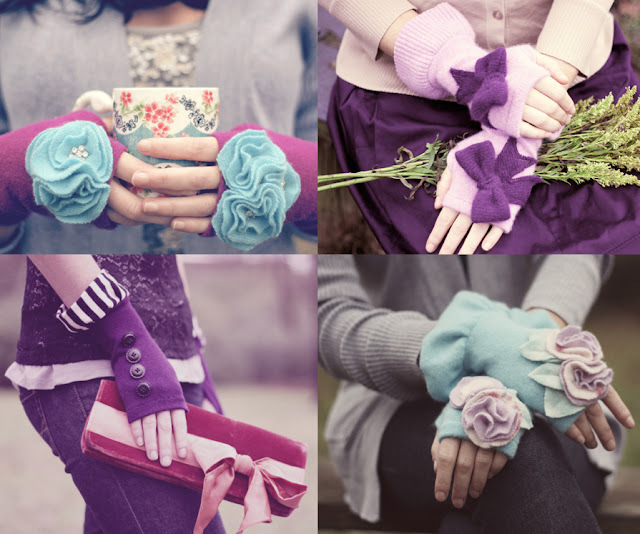 Visit Violette Field Threads and tell me what your favorite pattern or tutorial is! **Be sure you leave your email address or a way to contact you if you win! Giveaway ends at midnight PST on Saturday, December 10th and the winner will be announced December 11th. Good luck! And until then... Violette Field Threads has generous discount offers if you buy multiple patterns, up to 35% off! Check it out for some instant gratification! 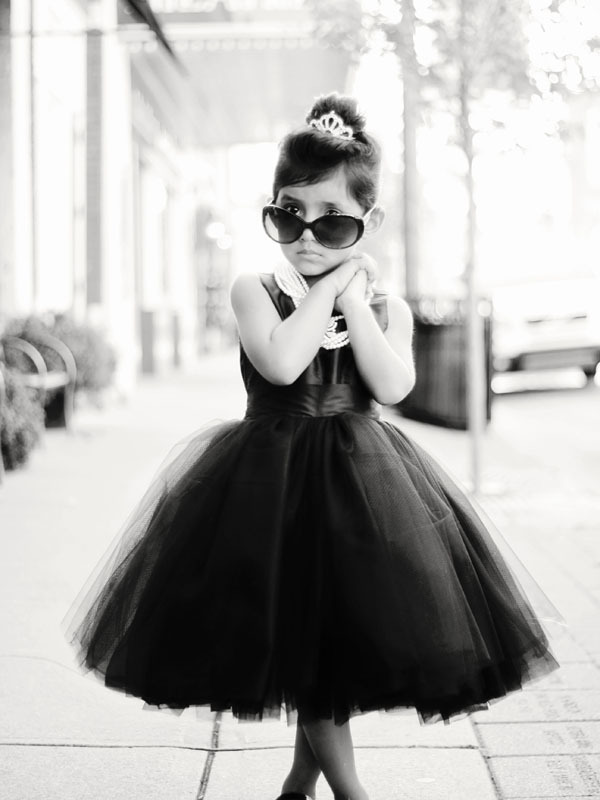 I think Audrey would suit my little girl the best. Although naturally I do love Chloe! Such cute picture. I love the Molly jacket pattern! This stuff is too much, I love it! 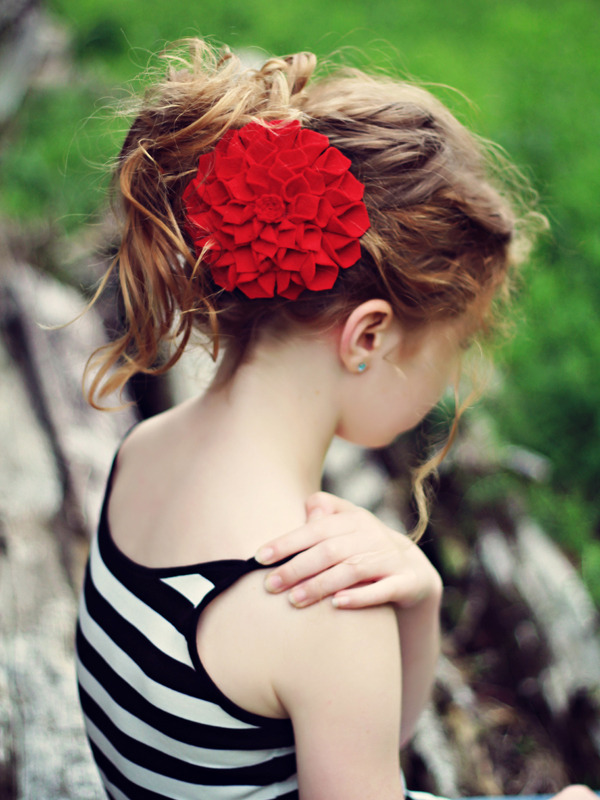 I've made several pins and clips almost identical to the Ava one using a felt dahlia tutorial online, and the recipients of them always freak out (in a good way). I would love to have a few more flowers to throw into the gift rotation. What a fab giveaway! I love the Molly jacket, and it's reversible, how cute is that! That would be great for big girls too. My little girl would freak out over the Chloe dress! Love, love, love the Lucy pants! So comfy looking and super cute! Their accessory patterns are to die for! I love the Ava and Felicity! As a new auntie I've been looking for things to sew for the niece (and nephew!) 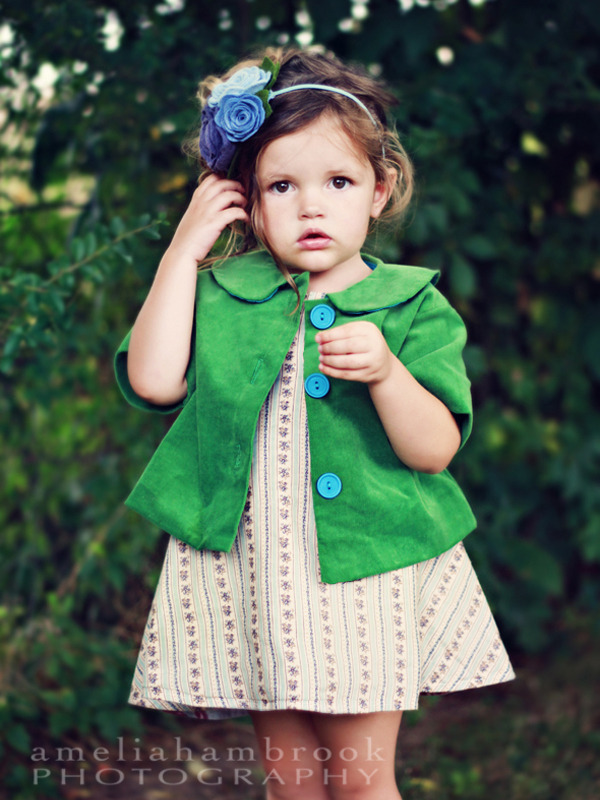 The Olive Top and the Adele Dress are ADORABLE! Being 30 weeks pregnant with our first baby (a girl!) I'm absolutely in love with all of these! Adele would be first on my list though! Okay, they have the cutest patterns! I love all of the beginner patterns, because I am just learning to sew! Also, I love the Chloe dress pattern, and the Adele dress pattern! I love the ava and the molly. Such great stuff! kirstenmanning at msn dot com. Is there anything cuter than the Chloe pattern?! I love the Nadine flower pattern! Love the Chloe pattern and can picture my goddaughter Audrey dancing around in that dress! Love the site! I like Penelope! Also whatever that green jacket is on your post... so cute! Without a doubt my favourite is the Chloe dress. I want to make it in an adult size. oh my, the charlotte pants are too much, so cute!! So, so sweet! 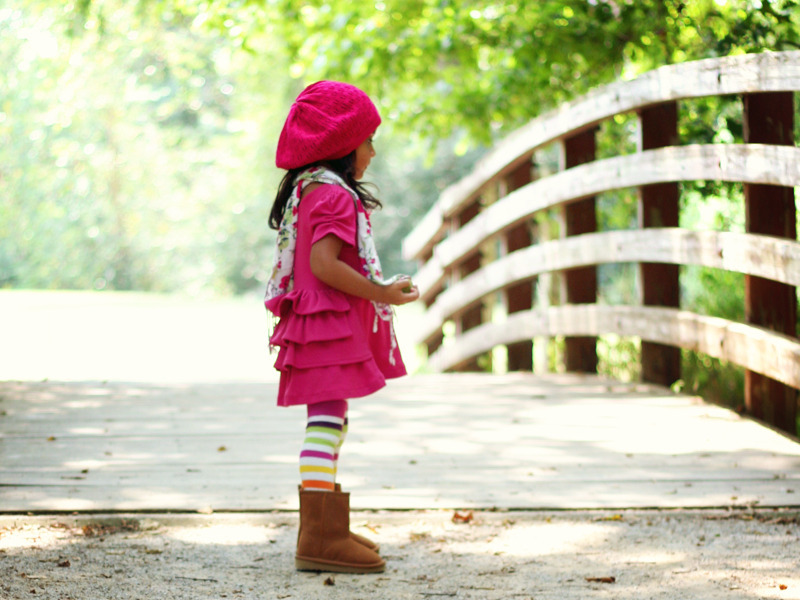 I really love the little ruffly pink number (with the stripe tights), pictured above! Then there's Ava, Nadine, Adele, Penelope, Lucy...just adorable! i love love the chole patter. so so cute! The Adele is really precious! I own the Audrey dress pattern and love it. The directions were so easy to understand. I have made 3 so far for my grand-daughters and am getting ready to cut one out for a niece! I am probably going to purchase the Chloe next as it has been calling my name since I first saw it. There are so many that I love, but Chloe is probably my favorite! I like violette field threads on fb. Love the Chloe dress and my three year old Sophia would wear it every day!!! Evachinetti@yahoo.com, forgot to include address in the above comment, thank you for the opportunity!!! Well, since I have 3 granddaughters to sew for I liked Adele, Viole and Nadine. Cute patterns. Thanks! I LOVE the Chloe dress!! But I also love the Olive top -- super cute stuff!!! Love the Audrey!! I have got to make that for my daughter while she'll still wear things like that. My favorite is the Chloe! I love the chole dress. I love the nadine flower and molly jacket! perfect for my friend's 5 year old! !